Get ready to have the best time at the “Wurst Fest in the Midwest,” the Hermann Wurstfest! This year will mark 40 years of celebrating all things sausage in Hermann, MO – and it’s sure to be the best one yet. Keep reading to see all that this fantastic festival has in store for meat-lovers and event-goers alike and mark your calendars for March 23-24, 2019. Can’t you almost hear the friendly Fräulein listing off all of the different kinds of wurst available, like; bratwurst, knackwurst, liverwurst, bierwurst, cheddarwurst, and so on, and so on? You’ll be able to sample all of the delectable differences between them and then purchase your favorites to take home with you. You may want to bring a cooler to keep your sausages safe for travel! Plus there will be lots of Sauerkraut tastings, so you can experience the classic German pairing! Also, be sure to check out the amateur and professional statewide sausage making competition to find out who will be crowned the sausage king or queen! But don’t worry, there will be other food vendors available too if you get your fill of sausage… if that’s even possible! 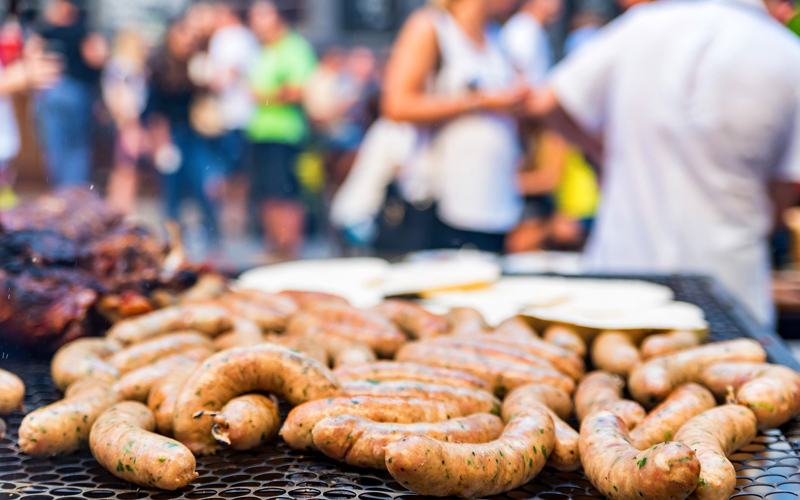 In-between eating copious amounts of sausage, you’ll need some fun activities to fill your time at the Hermann Wurstfest. Cue the accordions and grab your partner to dance the day away to traditional German music. Or head over to the always popular wiener dog races! 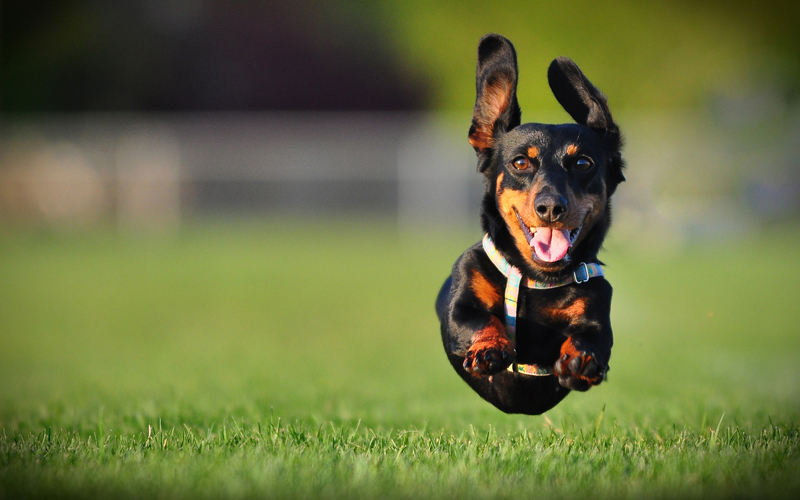 They may look like sausages with legs, but they sure can run. Or if you would rather do some running or walking yourself, take part in the annual volksmarch, a non-competitive nature walk. And while you’re enjoying all of the fun, make sure to try a few of the local wines and brews available from local purveyors. The Wurstfest Just Gets Better and Better! 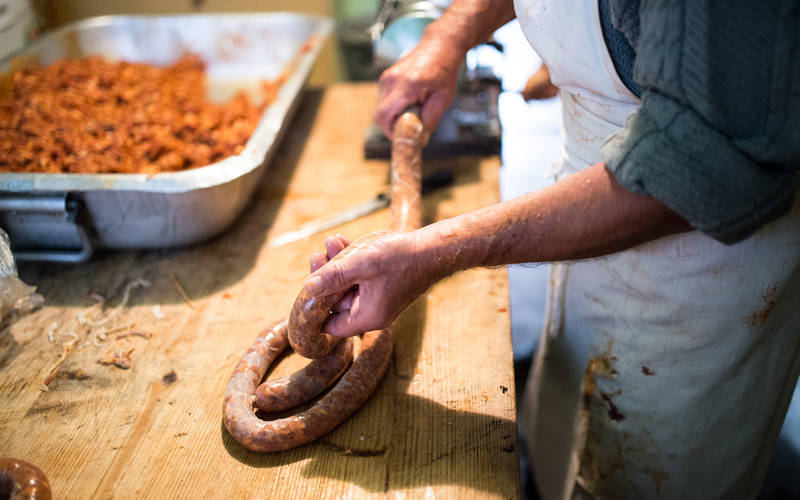 This year, there will be new ways to show your love for sausage, including a special sausage and sauerkraut-making class on Friday, March 22nd at the infamous Wurst Haus. In addition to creating your own delectable delights, you’ll be treated to a fun and delicious dinner too! There will also be more sauerkraut-making demos and classes at the Wurst Market on Saturday to be a part of. These events are sure to fill up quickly, so reserve your spots soon. Now that you have the perfect reason to visit our quaint German town, claim your spot at the best place to stay in Hermann. Not only do we have luxurious accommodations with too many amenities to list, and a state-of-the-art Aveda spa, our River Bluff Cottage Suites offer kitchens and BBQs to cook up those savory sausages that you found at the fest. As you sit on your deck overlooking the beautiful Missouri River, with your favorite wurst on the grill and a cold beer in your hand, you’ll be glad that you made your your way to our relaxing bed and breakfast in this fun and unique destination. We can’t wait to welcome you to your soon-to-be favorite getaway in Missouri. Prost!